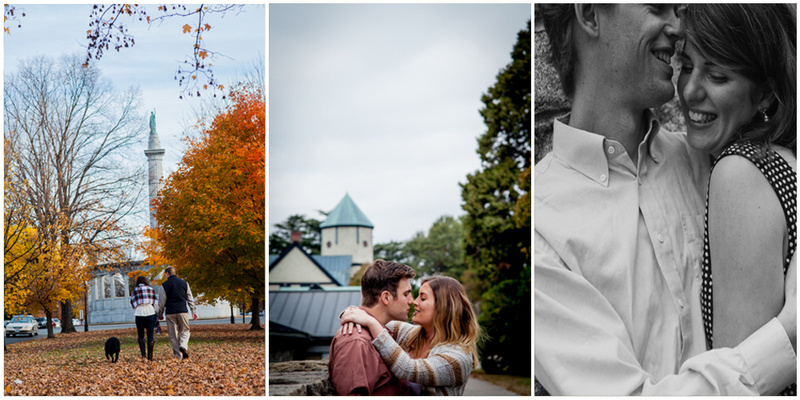 I am so excited to work with you on your engagement session! This will be a great opportunity for you to get comfortable in front of my camera prior to your wedding and for me to learn how you interact as a couple. I'll be encouraging you to get as close and cuddly as possible and to do your best to interact and flirt with each other as opposed to smiling directly at the camera. Nervous? Have a drink! My personal favorite…. order a Venti Passion Tea Lemonade from Starbucks. Dump out half or split it up. Top with champagne. You’re welcome. Every photographer has their own style. Hopefully we’ve met, chatted and agreed that our visions line up! Some photographers love the color red, personally I hate it. I have no idea why…. I just do. (Rust is a totally different story). With that in mind, this guide is meant to style you best to compliment the way I shoot. Can’t wait! Please bring multiple options with you and get dressed at the location. That way I can help you decide what will work best given your location and the weather that day. If you have your heart set on something in advance you can email me a photo! Consider getting your make up done! It's a great day to do your wedding trial, but keep your hair natural and down. We want to create movement wherever we can - this goes for dresses too. Fabric that can flow and move is ideal and wind is our friend! Compliment each other but don't be matching. Try and stick to neutral and muted colors. Keep it relaxed - so you look relaxed! As awesome as a crisp dress shirt can look for a date, in a field or forest it won't look believable. Try layering a button up over a t-shirt instead. Sorry, maybe that was blunt. I promise I just want you to have amazing images. Remember, always be yourself. Too cheesy… how about, for photos always be the most fun version of yourself. Go ahead and tell your partner that James told you to go shopping, you can blame me - I won’t tell.